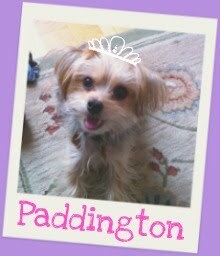 Barkzilla: A Savvy NYC Dog Blog: Rule Britannia! 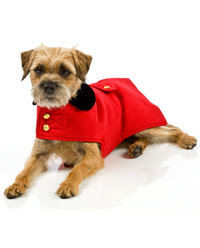 Wag in the winter season with this adorable Red Melton Wool Jacket for the little "Beefeater" in your life. This double-layered wool number features a soft, velvety collar and shiny gold buttons (but luckily comes on and off with velcro). The only down-side? No d-ring attachment or leash opening. Boo. Available from Canine Styles locations or their website in sizes 8"-16" .